It’s the year 2019, and everyone, especially those in the IT industry, is well accustomed with the term that is digital transformation. Having said that, the process of digital transformation is a lot more complicated than it sounds. The integration of new age technologies like artificial intelligence, data analytics and IoT into all areas of a business, changes how companies operate and deliver value to customers, and thus involves a lot of challenges. In an interview with DataQuest, Mr Varun Bhutani, Founder and CEO, Trihund Solutions Pvt Ltd, talks about the legacy infrastructure challenge when it comes to digitisation, some trends reshaping the industry and if automation can ever undermine the role played by humans in the industry. Q. Legacy infrastructure is a challenge. How can companies become digital while protecting existing investments? Organisations are realising that building customised solutions, maintenance of them and then, their upgradation is a business in itself. This usually requires a huge investment in terms of time and money. And the leadership cannot ignore technology as it already has become an intrinsic part of the business which can, potentially, add a lot of value in terms of business benefits to both the top and bottom lines. This technology is also of two types – one which is inherent to the core business and the other, which is more generalist which supports the business process and could be common to the industry or across industries. The former, for example, could be latest manufacturing techniques or which comes out of research labs and of course, needs to be invested in by the company itself. We will focus on the latter. The latter is definitely not the core business of an organisation but supports it. It could be a logistic software’s for an e-commerce firm or sales software to manage its B2B sales processes. But to migrate these would involve a huge cost in terms of building the system, moving the data, training the workforce and of course, by the time the system is custom built, it would, in all probability, be outdated. So what is the solution? Here’s where product companies come in with a ready base product but with the ability to customise it to suit the needs of the organisation. The upgradation to market standards is managed by the technology partner and the linkages with the legacy systems ensure your organisation hits the ground running. We have and are in the process of working with multiple large organisations to solve this challenge. Of course, focus on security is a major key. Q. What are some of the trends reshaping the technology landscape in India? It depends on which area is under discussion as India is huge and so are the challenges which come up with the peculiar nature. 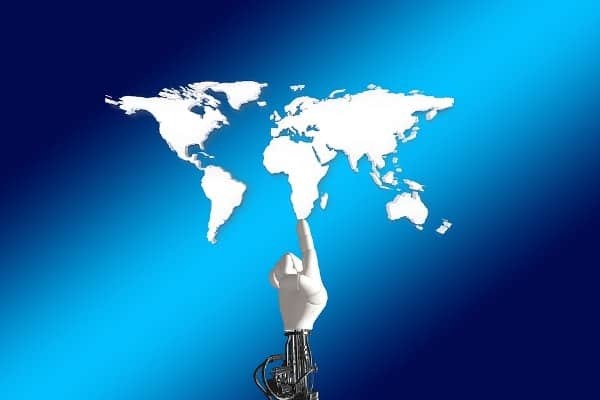 With over two dozen languages and a variety of use cases, along with global trends which are talking about the new age in terms of AI, block chain, and machine learning, this is a very tough question to answer. Growth is happening in all areas and we are well on the way. A person who was born at the time of independence has gone from writing letters and making trunk calls to talking with their loved ones on a video call at the click of a button for almost zero cost. And most of this change has happened in the last decade or so. And this speed is only going to increase, in all areas. Automation is the key. Are enterprises moving in that direction? Automation can never completely replace the qualitative calls which a human brain can make. It runs something as complex as the human body. So to say automation will replace all human intervention, would be too bold. Yes, they will replace a number of tedious tasks which ideally should not be done by a human as the human brain is a lot smarter and only gets better with usage. Apart from that, calls can never be replaced by automated software’s, and that is exactly what enterprises are doing – replacing the mundane, repetitive tasks which have quality control issues by automated systems which assist the workforce. An example, is replacing the new client on boarding process by banks. A small change, currently, involves changing the IT systems, updating the documents and training a 10,000+ workforce spread across two dozen states whose primary languages are also different. What if you could do this change by a simple edit in the core system and the change is reflected in ALL geographies at the same time. No training of workforce required as the process is already live at zero additional technology cost. AI, though, is a different animal as it learns. And the best metric, I personally have found in terms of how AI systems are changing the game, is the pace of development of chess AI engines which have shown an ability to be ruthless and scheming in planning gambits. Q. How is WorkKey delivering the most simple and effective workflow management experience to Corporates and SMB’s? WorkKey is built on a simple patent filed infinite level nested task structure which allows it to consume any process. We can integrate with legacy databases and provide a simple intuitive product to ensure future developments including automations, AI or other tools can be simply integrated with the system. WorkKey for CxO’s – to plan, run and track strategic initiatives. WorkKey for Project Management – with state-of-the-art reporting capabilities. We are an ISO 27001 certified organisation and have cleared the security protocol requirements of multiple Indian and International enterprises including leading consulting firms, private banks and insurance players. We have a patent filed infinite level nested task structure with an intuitive interface which allows us to consume, with ease, complex processes and provide a great user experience. Additionally we have an ability to very quickly integrate with legacy systems and then provide customisations and automations again because of our patent filed infinite level nested task structure. To Say Automation will Replace Human Intervention is too Bold: Varun Bhutani, CEO, Trihund Solutions 0 out of 5 based on 0 ratings. 0 user reviews.